A few nights ago, at 9 p.m., the phone rang and, when I absently picked it up, there, to my utter surprise and delight, was the unmistakable voice of the great Marlo Thomas, my frequent interview subject and friend, still known to millions as That Girl, the spunky, upbeat, always-independent heroine who won the heart of a nation. Unforgettable in that role and many others since, Marlo is also a philanthropic powerhouse, working tirelessly for her father’s great charity, St. Jude Children’s Research Hospital, the top children’s cancer center in the nation. 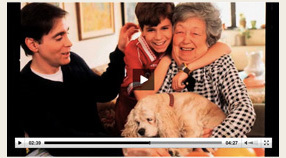 As the National Outreach Director for St. Jude, Marlo also hosts A Place Of Hope, an hour-long television special that documents the lifesaving work of St. Jude, which provides free medical services to desperately ill children while also devoting itself to research and new treatments. 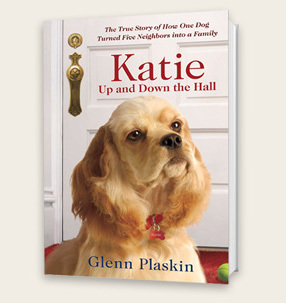 Marlo was kindly calling up to congratulate me on the upcoming publication of my new book, Katie Up and Down The Hall –while also mentioning her upcoming book, also being published in September, titled Growing Up Laughing, (Hyperion), a brilliant memoir about her childhood and the star entertainer friends of her father, comedian Danny Thomas. It will feature childhood memories from Jerry Seinfeld, Jon Stewart and other contemporary comedians and it will be a must read. Marlo, a great comedienne, says her own experiences made her want to learn how the seeds of humor got planted for other entertainers as well. 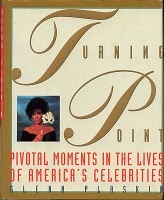 And speaking of great entertainers, I thought back to one of our classic interviews together that appeared in my book Turning Point: Pivotal Moments In the Lives Of America’s Celebrities which centered around her loving and supportive Dad, the legendary Danny Thomas. In the book, she reminisced about the time she was an eighteen-year-old fledgling actress appearing in a production of Gigi when some audacious interviewer asked her if she’d ever be as good as her Dad. And so she has, and brilliantly so. Toward the end of our recent phone talk, I invited Marlo and her husband, the great Phil Donahue (who I had the pleasure of once interviewing for a Family Circle profile), to come to the KATIE launch party in September, to be hosted by Joan Rivers and Mario Buatta, a benefit for Guide Dogs For The Blind. Marlo said she’d love to come–and I can’t wait to see her and Phil, two icons in American television, both indelible in our collective memories, and most personally, in mine.